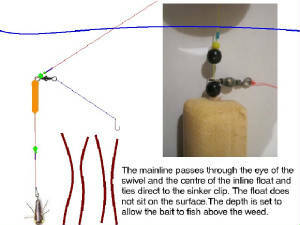 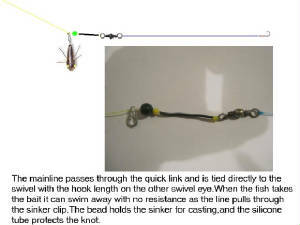 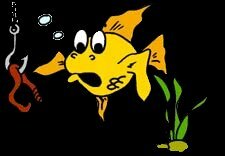 Rigs are many and varied and you could likely full a book with all of the many combinations of tackle that come under the category.However,these few rigs are about all I use for my fishing and a little bit of experimenting will soon let you know what rig is most suitable for your own style of fishing. 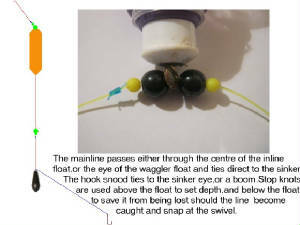 I'm using cartoon rather than pictures here as I think it shows better how they are tied. 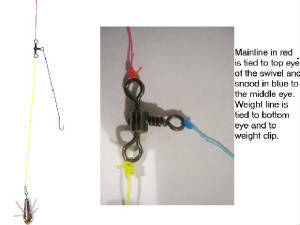 I like to keep rigs as simple as possible and these are all the bits that I use. 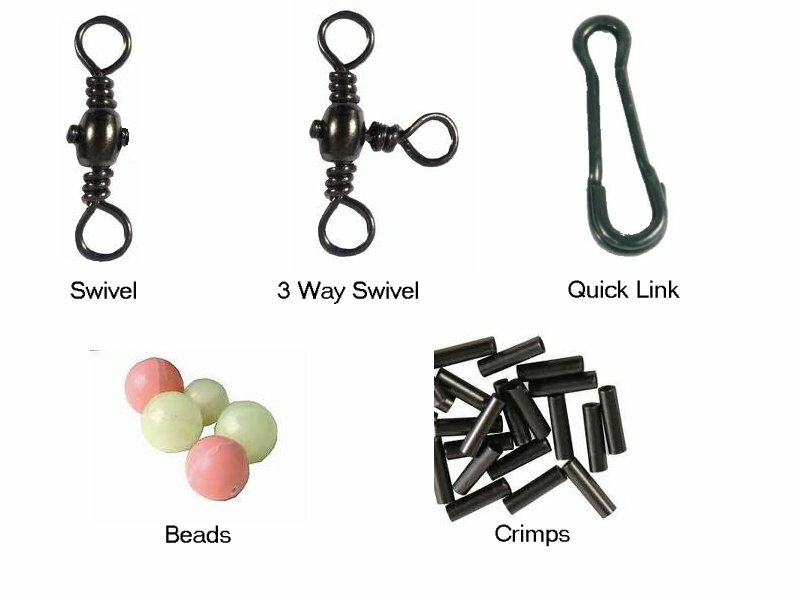 For swivels and 3 way swivels you need to choose ones that are of a high enough breaking strain for the ground that you will fish here,but personally I like to use size 1/0s which are far heavier than needed but I find them easier to tie,simple as that. 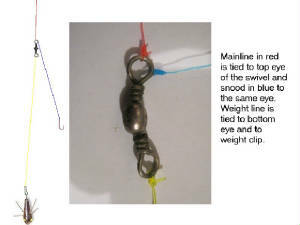 Quick links I use for clipping leads,and I use 3mm and 5mm beads for various tasks. 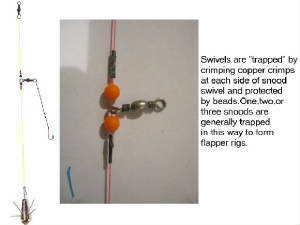 Copper crimps I use on lighter traces for trapping swivels for multi hook flapper rigs.